Arnica flowers and roots have been used for a number of years as herbal support for maintaining an optimal level of health and wellness. It is thought to provide a number of health benefits, including helping to address occasional pain. 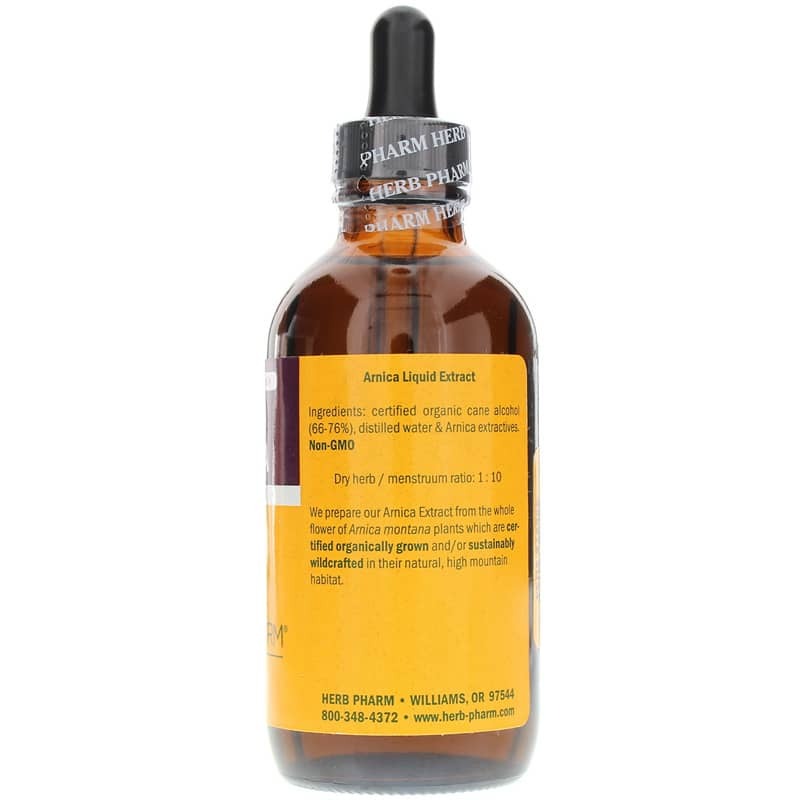 Herb Pharm's Arnica is a liquid herbal supplement for topical use only. 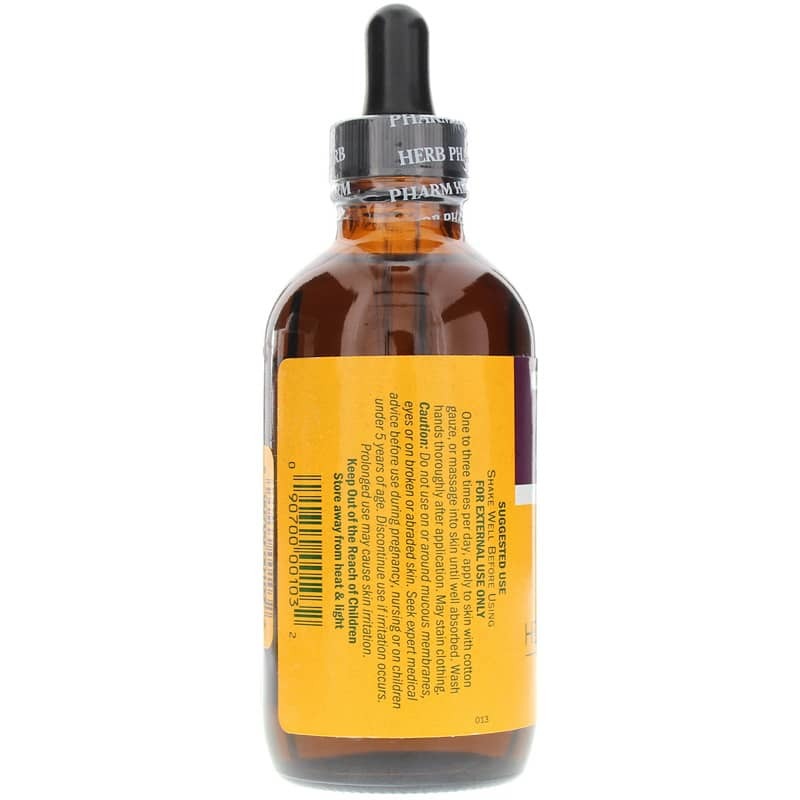 The arnica montana plants used in the making of this product are harvested when in full flowering, carefully dried in the shade, and are then thoroughly extracted to provide a quality product. The plants are certified organically grown or are sustainably wildcrafted in their natural habitat. 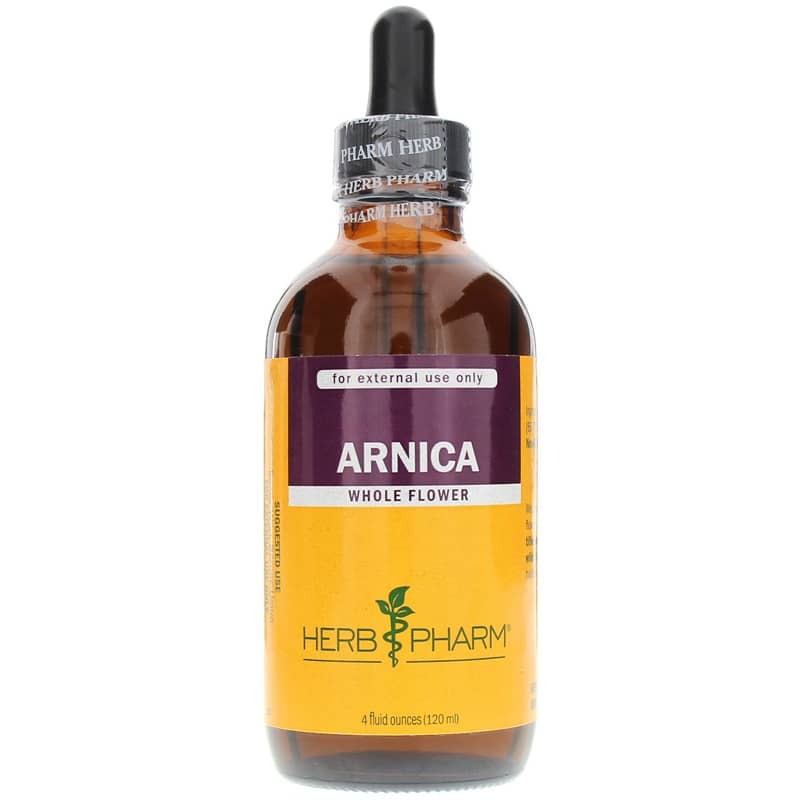 Arnica from Herb Pharm may also be applied topically and rubbed into your skin until it's well absorbed. It is non-GMO. Make the choice to support your overall health the all-natural way. Give Arnica a try today, and see the difference it may be able to make for you. Order now! Certified organic cane alcohol (66-76%), distilled water and Arnica extractives. Non-GMO. For external use only. Shake well before using. One to three times per day, apply to skin with cotton gauze, or massage into skin until well absorbed. Wash hands thoroughly after application. May stain clothing. For external use only. Do NOT use on or around mucous membranes, eyes or on broken or abraded skin. If you are pregnant or nursing, please consult your healthcare professional before using this product. Seek expert medication advice for children under 5 years of age. Discontinue use if irritation occurs. Prolonged use may cause skin irritation. Keep out of the reach of children.